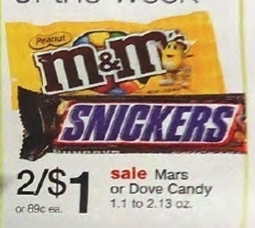 Dove chocolate singles $.25 each after coupon! 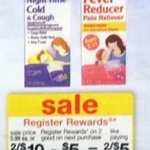 You are here: Home / drug store deals / Dove chocolate singles $.25 each after coupon! 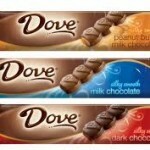 If you love chocolate, you’ll want to grab this printable coupon for $.50 off 2 Dove chocolate singles. 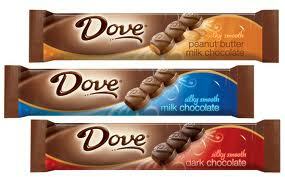 I love chocolate and I think Dove chocolate is soo yummy! 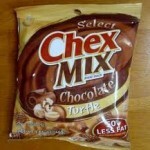 I especially love their dark chocolate! 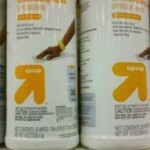 You’ll be able to grab it for just $.25 each after coupon at Walgreens starting on 5/13! 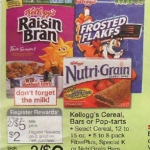 Print and Save: Chex Mix only $.33 after coupons starting 1/8! 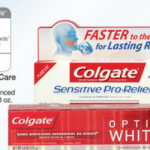 Colgate Total Advanced Toothpaste coupon: $1.50 each at Walgreens!